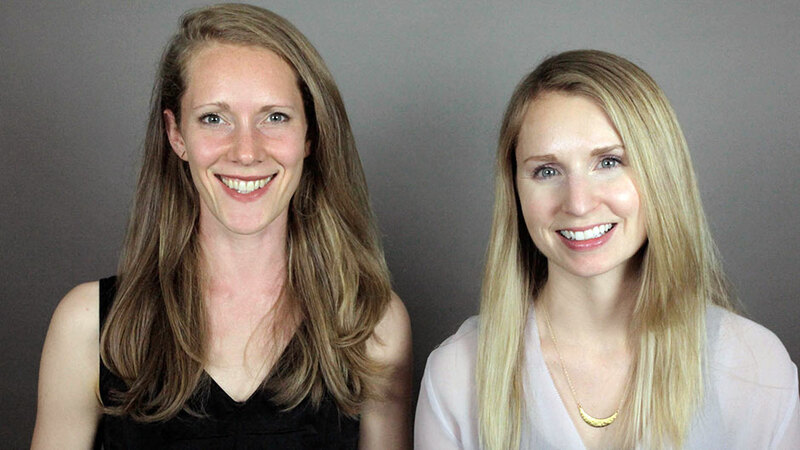 Liz Fosslien and Mollie West Duffy are the authors of No Hard Feelings, a wickedly funny visual exploration of how to embrace emotion at work and become more authentic and fulfilled while staying professional. Their candid and entertaining talks address emotional intelligence, workplace culture, how to manage health and stress, how to resolve conflict, and more. The modern workplace can be an emotional minefield filled with unwritten rules. Do bosses get handshakes or hugs? What do you do if you forget to mute your phone on a conference call? Liz Fosslien and Mollie West Duffy take a charming yet deeply researched look at the role emotions play in our professional lives. In their illustrated book, No Hard Feelings: Emotions at Work and How They Help Us Succeed, Fosslien and Duffy combine practical advice and scientific research to help audiences acknowledge, examine, and embrace emotions effectively in increasingly collaborative, complex, and stressful workplaces. In talks that educate and entertain, Fosslien and Duffy mix behavioral economics, psychology, and organizational development to address issues on the hearts and minds of anyone navigating a modern organization. From building a culture of belonging to encouraging emotionally fluent leaders to communicating better in a digital world, they have spoken to a range of clients and audiences, including WeWork and the designers, developers, academics, and researchers at World Interaction Day. Both Fosslien and Duffy are experienced consultants who have worked with a wide variety of organizations. In her consultancy work, Fosslien has partnered with clients like Salesforce, Ernst & Young, the Stanford d.School, and The Economist to creatively reimagine research findings. Previously, Fosslien served as the Creative Director for Parliament, a firm that facilitates collaboration between Fortune 500 executives and business authors, as the Executive Editor at Genius, a music media company, and as an economic consultant at Analysis Group. Her personal data visualization and illustration projects have been viewed over 10 million times and have been featured by The Financial Times, NPR, Quartz, Fast Company, the Freakonomics Blog, and LifeHacker. Duffy is a Senior Organizational Designer at IDEO New York. Previously, she provided organizational consulting at Undercurrent, Capital One Labs, and Casper, and worked as a research associate at Harvard Business School, studying how CEOs spend their time and helping them better design their roles. Her writing about organizational culture has appeared in Fast Company, Quartz, Entrepreneur, Stanford Social Innovation Review and other digital outlets. Duffy travels from New York, NY, and Fosslein travels from San Francisco, CA. Diversity means having a seat at the table, inclusion means having a voice, and belonging means that voice is heard. In this talk, Mollie West Duffy and Liz Fosslien outline the small actionable steps individuals and organizations can take to create a culture of belonging. They usually incorporate a paired activity into this presentation to encourage participant interaction. Successful leadership often depends on fluently expressing emotions and using them to our advantage. In this talk, Liz Fosslien and Mollie West Duffy give leaders the tools to understand and navigate emotions at work, sharing practical advice and a clear-sighted toolkit. They can introduce a range of conversations on the intersection of leadership and emotional intelligence, including why the best leaders are selectively vulnerable, how to encourage an environment of psychological safety and emotionally healthy teams, and how to promote creativity. Introverts and extroverts have different needs in the workplace. Extroverts tend to react to social interactions more quickly, while introverts have a lower threshold for stimuli: put an introvert in a noisy open office and he’ll soon become overwhelmed. In this talk, Liz Fosslien and Mollie West Duffy help both introverts and extroverts understand, communicate, and optimize around their own and each other’s tendencies. They can also address networking tips for introverts. Effective communication often depends on our ability to talk about emotions while remaining unemotional. We often react to each other based on assumptions we never bothered to look at more carefully. But the words people say are not always what they mean. In this talk, Fosslien and Duffy address how to work through conflict, highlight how major differences between groups can lead to bungled conversations, look at how to deliver useful feedback that doesn’t sting, and walk through ways to avoid digital miscommunication. Emotional intelligence is increasingly becoming a key component of success in the workplace, factoring into everything from internal motivations to coworker relationships. In this talk, Liz Fosslien and Mollie West Duffy tackle everything from managing health and stress at work to understanding how your emotions can affect motivation and decision-making. Transition moments, like an employee’s first day on the job, are particularly anxiety-inducing— which makes them great opportunities to create a sense of belonging. Think back to how elated you felt the day you received a job offer. But as your start date drew closer, your excitement probably morphed into self-doubt. While everyone experiences periods of self-doubt, members of underrepresented groups are much more likely to feel alienated at work, especially in the first few months of a new job. In this session, Liz Fosslien and Mollie West Duffy give ideas for how organizations can counteract first-day-on-the-job nerves through specific belonging interventions. No Hard Feelings dispels the myth that there’s no place for emotions at work. You can’t communicate clearly unless you’re aware of your own emotions, and the emotions you’re sparking in others. You can’t build productive relationships at work if you’re showing up like a robot. This book will help you build the emotional discipline you need to succeed. — Laszlo Bock, CEO of Humu and author of Work Rules! If you’ve ever thought it’s best to check your emotions at the office door, this book will change your mind. It’s full of lively illustrations and practical examples to show how you can harness emotions to become more creative, collaborative, and productive. A must-read that topples the idea that emotions don’t belong in the workplace, No Hard Feelings offers a path towards a future I want to work in: an emotionally expressive, yet respectful (and high-performing!) workplace. Warm, witty, and wise, No Hard Feelings is the missing manual for reconciling emotions with professionalism–intelligently.